The 1920 Olympic Games (also known as the VII Olympiad) closely followed the ending of World War I, being held from April 20 to September 12, 1920, in Antwerp, Belgium. The war had been devastating, with massive destruction and monstrous loss of life, leaving many countries unable to participate in the Olympic Games. Still, the 1920 Olympics went on, seeing the first use of the iconic Olympic flag, the first time a representative athlete took the official Olympic oath, and the first time white doves (representing peace) were released. The world had seen much bloodshed from World War I, which made many wonder whether the war's aggressors should be invited to the Olympic Games. Since the war had ravaged throughout Europe, funding and materials for the Games was difficult to acquire. When the athletes arrived in Antwerp, construction had not been completed. Besides the stadium being unfinished, the athletes were housed in cramped quarters and slept on folding cots. Though this year was the first that the official Olympic flag was flown, not many were there to see it. The number of spectators was so low—mainly because people could not afford tickets after the war—that Belgium lost over 600 million francs from hosting the Games. On a more positive note, the 1920 Games was notable for the first appearance of Paavo Nurmi, one of the "Flying Finns." Nurmi was a runner who ran like a mechanical man - body erect, always at an even pace. Nurmi even carried a stopwatch with him as he ran so that he could evenly pace himself. 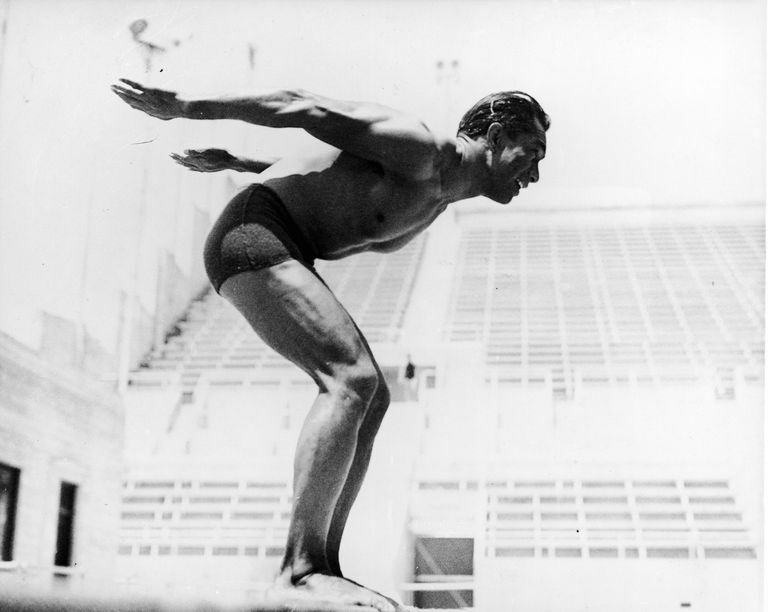 Nurmi returned to run in the 1924 and the 1928 Olympic Games winning, in total, seven gold medals. Although we normally think of Olympic athletes as young and strapping, the oldest Olympic athlete of all time was 72 years old. Swedish shooter Oscar Swahn had already participated in two Olympic Games (1908 and 1912) and had won five medals (including three gold) before appearing at the 1920 Olympics. At the 1920 Olympics, 72-year-old Swahn, sporting a long white beard, won a silver medal in the 100-meter, team, running deer double shots.